LG Display has made a 5.3″ LCD panel with a bezel of just 0.7mm. The display of 1080p resolution sports a pixel density of 415ppi. To put it into perspective, the left and right sides of the panel are thinner than the 0.8mm thickness of a credit card. In order to pull this off, the company uses its “Neo Edge” module processing technology as well as the first “Advanced In-Cell Touch (AIT)” technology. 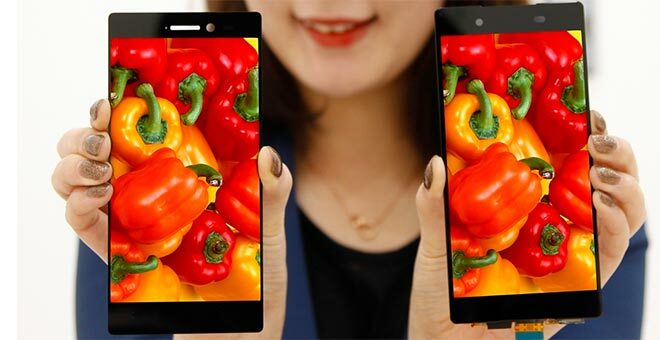 Mass production of the display panel will start in November and the first companies to make use of it will be based in China. This leads us to believe that companies like Huawei, Xiaomi, Lenovo and Oppo could be testing devices using the 5.3″ panel.